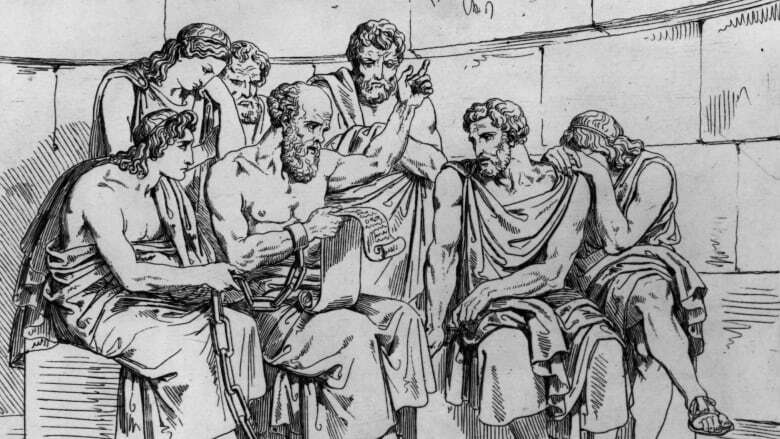 Philosophers are often accused of living in their own world, talking amongst themselves instead of engaging with the broader public. But one group of philosophers decided to change that culture… by setting up shop outside a New York City subway station. Lee McIntyre joined two other colleagues under a banner that read "Ask a Philosopher," and inviting the public to come to their booth with questions. "It is daunting for the philosophers… the idea of interacting with the general public over philosophy," McIntyre told Tapestry host Mary Hynes. "It's the easiest thing in the world for philosophers to just stay in their study and study these questions. It's a very different thing to take something that you've been studying for all those years and apply it to real world problems," he said. McIntyre is a research fellow at Boston University's Center for Philosophy and History of Science and the author of the book Post-Truth. He's also a firm advocate for public philosophy. "I was tired of just writing scholarship that would only be read by 200 people that I already knew on a first-name basis," he said. "I wanted to engage people on matters of current affairs that we all cared about." 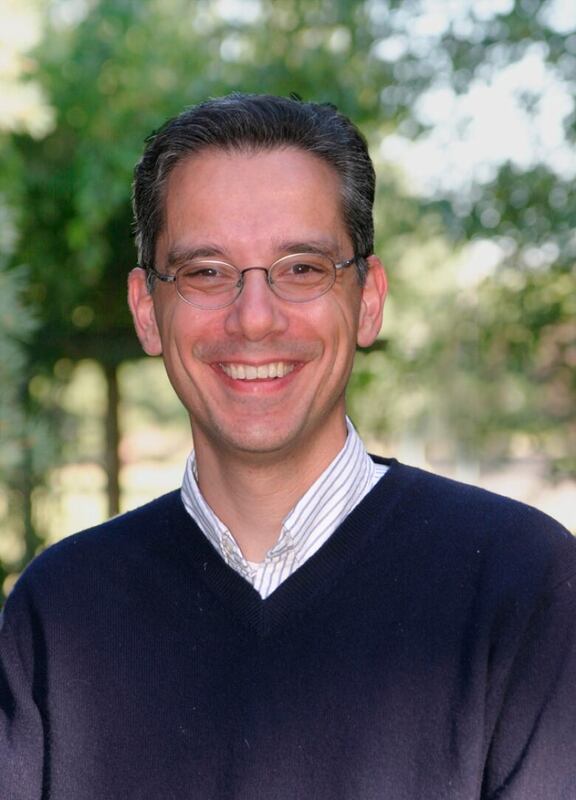 For McIntyre, public philosophy is all the more important in our current times. "If we do actually now live in a post-truth era, if we now live in an era where lying is rampant and accountability is nowhere, where are the philosophers?" he asked. "We've been studying truth for millennia. We have all sorts of theories. We have all sorts of ideas and political philosophy and epistemology. So where are we?" McIntyre added that the idea of public engagement by philosophers goes back to the discipline's very origins. "The idea was supposed to be that studying philosophy made you a better person," he said. "I think that we've lost that. I think that philosophy has become so much a part of the academy ... that there aren't really people who do philosophy and practice it." Just as law schools train lawyers rather than just law professors, McIntyre said philosophers too have a responsibility to engage with the world outside the walls of the university. "It really bothers me that some philosophers think that what they're doing is so important and so profound that they couldn't possibly share it with anyone in a vocabulary that they could understand," he said. "To me, philosophy should matter. It should matter for public affairs. It should matter for our personal lives. It should matter for the way that we teach others," added McIntyre. 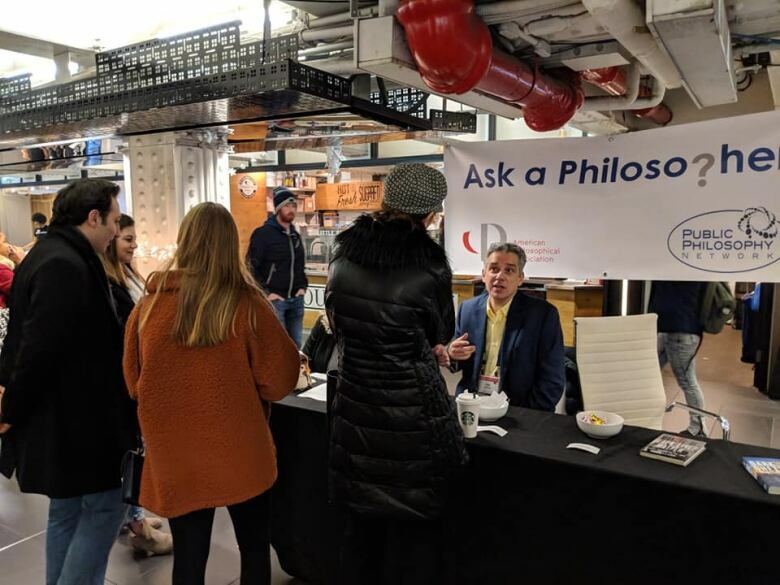 As for the "Ask a Philosopher" booth, McIntyre said that people did gradually come by with questions — with the same eager, but hesitant approach of students at a high-school dance. "The first person on the floor is very brave and then the others follow in," he said. "If it had said 'Ask an Accountant,' I think we would have had a line and people would be pulling out their taxes," McIntyre added. But with "Ask a Philosopher," McIntyre said people stood at arm's length. "The people who came over to the booth almost seemed as if they were apologetic about it," he said. "They were embarrassed to come over and ask a personal question. But they weren't personal questions," McIntyre added. "They were universal questions." "How can I have more meaning in my life? How can I be happier? Those are questions that we all struggle with."